The Grinch: The Grinch lives in seclusion overlooking the happy town of Whoville. He scorns those beneath him and wants to steal away their spirit and plots a way to take their Christmas Spirit. Aided by his pet dog, Max, he pretends to be Santa Claus and breaks into the Whoville homes to steal their decorations and gifts. 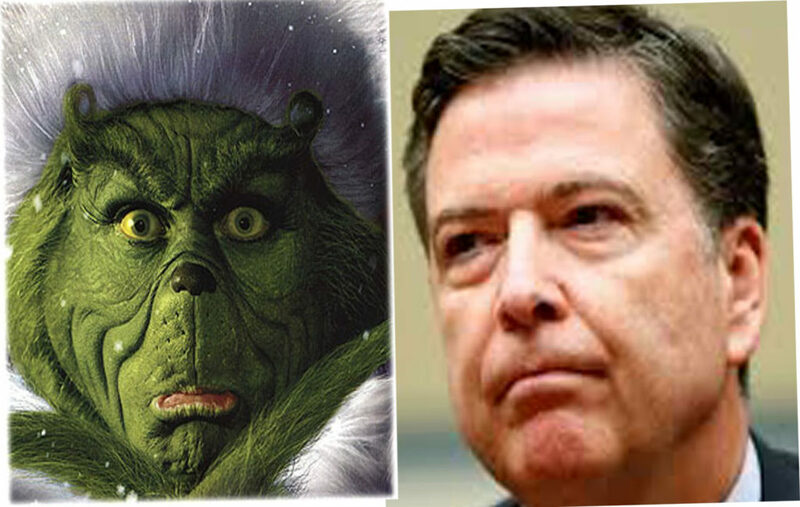 Astonished by their resilient spirit the Grinch has a change of heart and returns the gifts and joins the celebration. 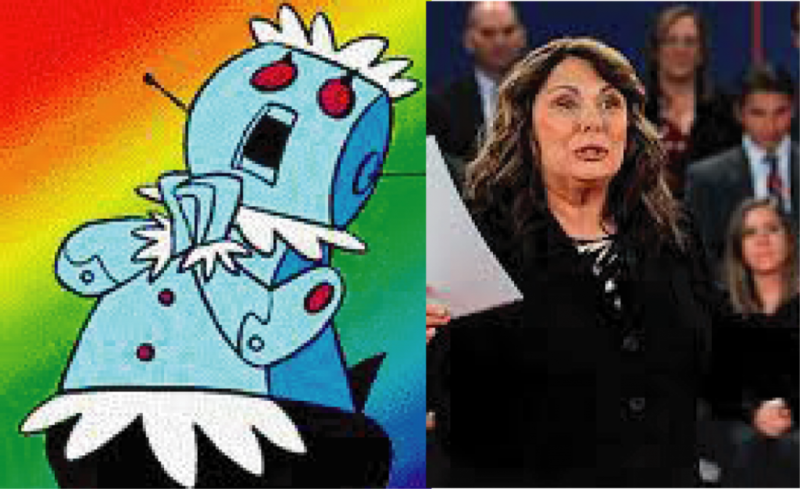 Rosey the Robot Maid: Rosie is a humanoid robot fictional character in The Jetsons animated television series of the 1960s. She is the Jetson’s maid and housekeeper and is usually depicted wearing a frilly apron. Her torso is mounted atop a single leg and she rolls about on a set of caster wheels. She frequently calls George Jetson “Mr. J”. Rosey was an old demonstrator model hired by the Jetson family from U-RENT A MAID. In the episode “Rosey the Robot”, her model number is revealed as XB-500. Rosey is modeled after Hazel from the TV show Hazel, a sitcom featuring Shirley Booth as a similar maid character. Banzai Hyena: Banzai of Lion King fame isn’t quite as bright as his de-facto leader, Shenzi. He is quick with stupid jokes and really easy to be offended — or more like: really glad when he can be violent in response to any stupid jokes from anyone who isn’t a hyena. He does not compete with Shenzi or Ed because they’re friends. When he isn’t laughing about his own jokes or Ed’s clumsy behavior then he is still hungry! As always. Hyenas play one kind of bad role in the life of Lions. 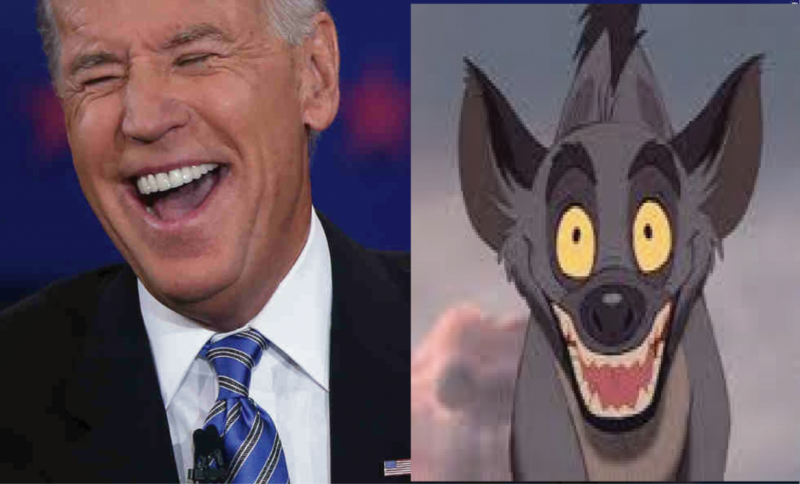 On the Lion King Muck, most hyenas are evil. But there are nice hyenas and hyena cubs too! 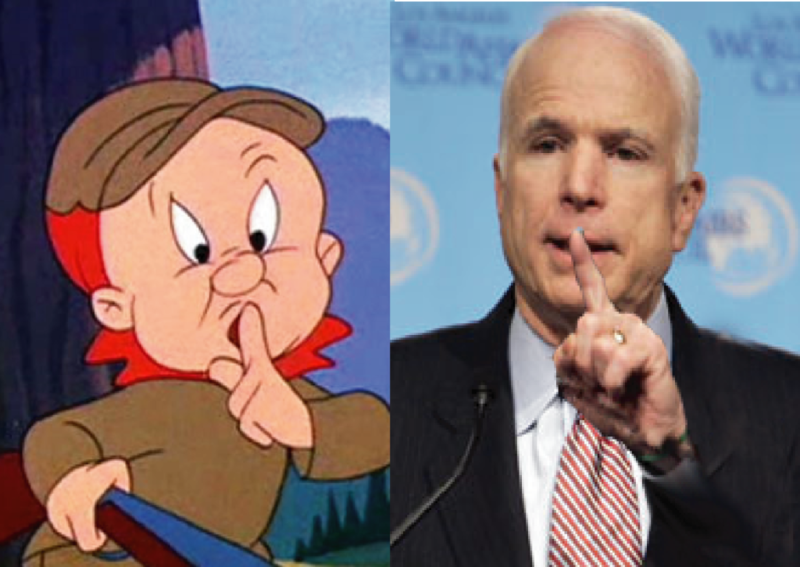 Well, not these three, that’s for sure. Selma Bouvier: Selma Bouvier is the raspy-voiced character on the long-running Simpsons animated television series. Selma suffered and unfortunate bottle rocket accident and lost both her sense of taste and smell. Selma’s favorite film actor was reportedly Troy McClure, to whom she was briefly married before discovering it was just a publicity stunt by McClure. She was willing to live a sham for a while, but broke it off when she realized she couldn’t bring a child into a loveless marriage. 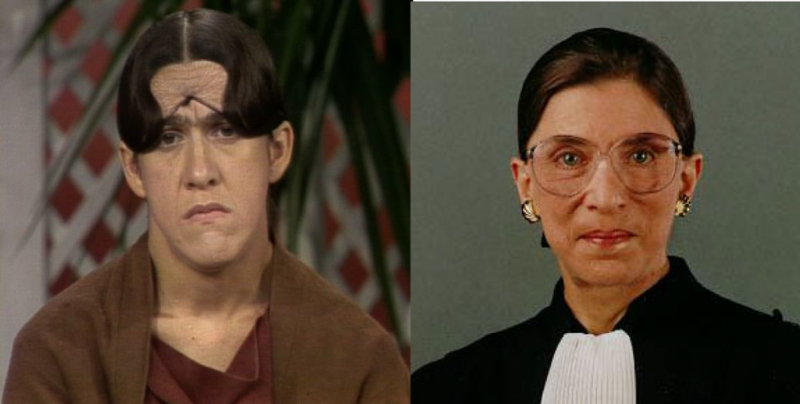 Selma inherited her deceased aunt’s iguana, Jub-Jub, instead of her mother, Jacqueline, due to Jacqueline’s apparent dislike of Jub-Jub. Unlike her sister, Patty, Selma has shown brief moments of sympathy for Homer, primarily due to his unwavering loyalty to his family. However, these instances are still very few and far between. 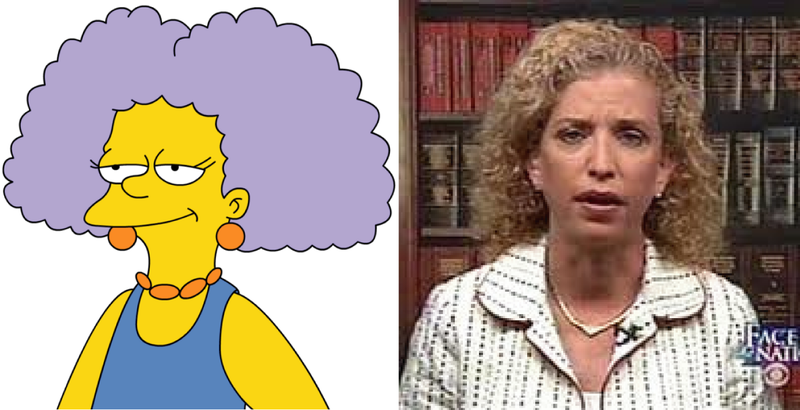 The Simpson’s creators fortunately only use her character infrequently so she doesn’t get on our nerves. BTW what’s up with the hair? 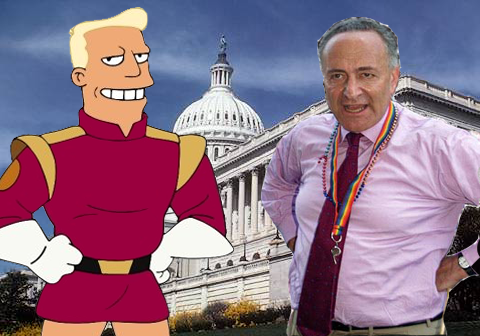 Captain Zapp Brannigan: Zapp is a character on the comedy show Futurama and senior member of the military of the Democratic Order of Planets (D.O.O.P.) though his title varies; he has been referred to as a “25 star General”, Captain, Rear Brigadier, “General Major Webelo”, Christopher Rossi, and Commodore 64. He is arrogant, incompetent, chauvinistic, cocky, vain, and painfully stupid. Although he claims to be a strategic genius, Zapp Brannigan is actually an imbecile and a coward whose plans are always absurd. Zapp is inexplicably well-respected throughout the universe, appearing as a Miss Universe Judge and often (ineffectively) defending Earth from attacks. Most battles are lost with Zapp in charge, due to his stupidity and incompetence; however sometimes the army is lucky. Zapp doesn’t care about casualties and cheerfully sends wave after wave of his own men to die in battle: it is implied that most of his ‘tactical’ victories have been pyrrhic, achieved only through high death tolls. Peter Löwenbräu Griffinis a fictional character and star of the animated series, Family Guy. Peter is the head of the family and is noted for his unbelievable schemes and bizarre, nonsensical utterances. No one with any intelligence takes Griffin’s ideas seriously and would never think of inviting him to help anchor their NEWS coverage of the Republican National Convention. 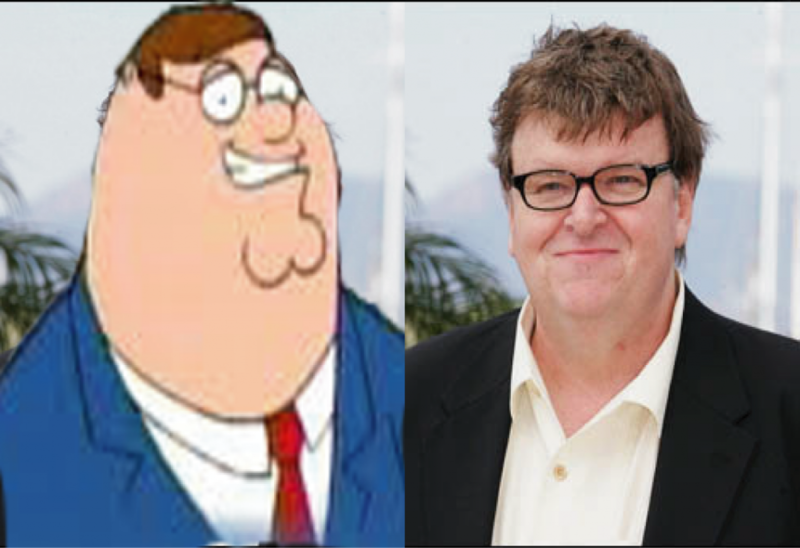 Michael Francis Moore is a fictional documentary filmmaker and star of liberal propaganda movies. Mike is the head of his amassed fortune and is noted for his unbelievable “documentaries” and bizarre, nonsensical utterances. No one with any intelligence takes Moore’s ideas seriously and yet surprisingly this StupidWhite Man was asked to participate in the coverage for USA Today of the 2004 Republican National Convention. Homer Simpson: Homer is the “leader” of the animated television series “The Simpsons.” While lovable he frequently finds himself intellectually lacking and often appears rather dumb when faced with logical issues. Homer’s family and friends often have to come to his rescue when he makes massive mistakes. Viewers watch in awe at his antics in anticipation of further mishaps.